Phil came from a musical family.... His father and older brother were both drummers. He studied piano at age 7, moved on to guitar at age 11 and settled on drums at 12. By age 14 he was a semi pro working player...and became full pro at 16 when he was asked to join the band WOOL...who had just released an album on the ABC label. When he was 17 that band signed a new deal with CBS Records...making it Phil's first Record deal. 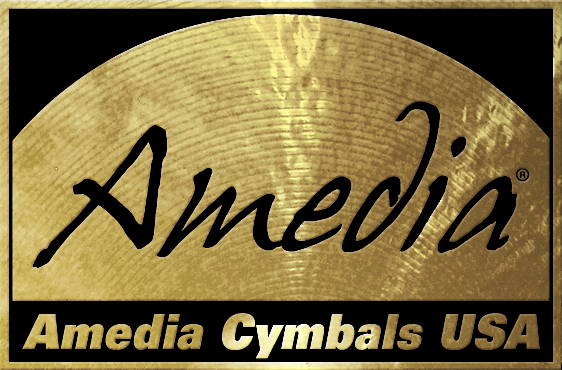 Over the rest of his drumming career he has been signed with Capitol / Epic / Atlantic / MCA as well as some independent labels like Pachyderm. 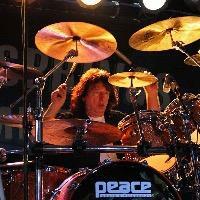 Phil studied with Jim Petercsak at the Crane School in NY ...and also with - Jim Vessiny- Private study / Carmine Appice- Private study / Ed Shaughnessy- Private study / Greg Bissonette- Private study ...and a Time study. course at Jamie Faunt School LA. Among the Record producers he has worked with are: David Foster / Andy Johns / Ken Scott / Spencer Proffer / David Brown / Danny Seraphine / Skip Saylor and the Elephante' Brothers. He has done many one off Recordings / Tours / Shows and projects with famous name players and members of well known bands. For a period of 7-8 years he was the drummer for the band Mastedon (80-81 to about 87) The band included John Elephante who sang with the Band Kansas and his brother Producer/ Guitarist Dino. Over the years it also included members from bands like: Pablo Cruise / Huey Lewis / Y&T / Foreigner and others. He has toured every State in the US as well as all of eastern Canada / Europe and Great Britain. He has appeared on TV / Radio / live Radio and Major Movie Soundtracks. He has appeared in print advertising and in a Geico TV commercial. He moved into the Tribute world in the year 2000...working with the National level Tribute bands Hotel California...a Salute to the Eagles...and Get Back, which featured original Beatlemania members from the Broadway and London casts and the Beatlemania Movie. Those bands toured heavily doing full concerts and opening for Major acts. He is currently leading his own Tribute : Heartbeat City...a Tribute to the Cars. After leaving Hotel California in 2010 he was offered a position with the classic Prog group Symphonic Slam...who was reforming with the intention of recording a new album. The band was the first band to use a Synth Guitar way back in the 70s...built by the bands guitarist Timo Laine..with assistance from Frank Zappa...this new version of the band worked for about a year in pre-production mode with Producer Ken Scott....it was discontinued when no valid record offers materialized. Heartbeat City is currently touring the US...and was asked to Record a song written by Cars Bassist Ben Orr that was never used before his passing. That song is to be placed on a benefit Album for a rare childhood disease. Phil also played a show at the Red Rocks Casino in Las Vegas with Cars members Elliot Easton and Greg Hawkes, performing Cars music. As a result, Greg Hawkes in now available as a special guest on Heartbeat City shows.